With a kilometer wide and closing Villaviciosa’s river in the east, Rodiles beach at low tide becomes one of the largest Sandy area of Asturias. It has all kinds of services and equipment, which added to its beauty and its dimensions make it a crowded place in the summer months. Rodiles is located on the eastern side of the estuary of Villaviciosa, 10, 4 kilometers from the capital and close to the towns of Olivar and Selorio. The Blue Flag recognizes and encourages the efforts of the local community to get this beach reachs the criteria of legality, accessibility, health, cleanliness and safety, just like this beach has an appropriate information and environmental management. Rodiles Beach offers a shaded wooded area (el ocalital) with tables and chairs for outdoor comfort and enjoyment of visitors, plus accessible trails. Rodiles also constitutes a privileged surfing location for its famous left wave which annually attracts hundreds of surfers. The beach of Misiegu is part of the estuary of Villaviciosa, with a good access following Rodiles’ road. It is about an UN protected enclave of about 1000m where you can enjoy the quiet rhythm of the tide waters. Its protection is intended to prevent overexploitation of natural resources, while increasing the environmental landscape value of the beach and marsh. In Misiegu you can follow a marked route with explanations on the national reserve, its flora and fauna, and accessible to people with reduced mobility. The beach of El Puntal is located in the parish of San Martín del Mar 7km from Villaviciosa towards Tazones. Its privileged situation at the mouth of the estuary of Villaviciosa and in front of Rodiles and Misiegu beaches, offers good parking and catering services, just like a rest area for the travelers. El Puntal takes in the main marina of the village. If you have holidays , then you have a reason. We have the place. 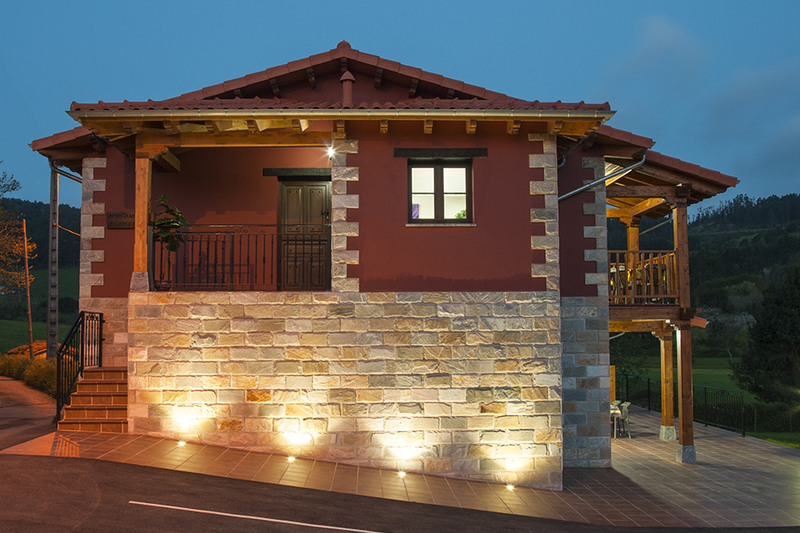 Rural Apartments "Vega Rodiles" is a group of rural accommodations based in the town of Vega, a province of Asturias. It is located a few km from the beach of Rodiles and it is an ideal accommodation for all those who enjoy the sun and the beach. 43° 30' 33.236" -5° 21' 37.004"